For a long time I have known that the best way I can help protect the environment and reduce my own carbon footprint is through my daily transportation choices. I'm car-light and I ride a bike or take transit most of the time. Since transportation is one of the biggest contributors to climate change that we make as individuals, this has been a big reason why I choose to go by bike. 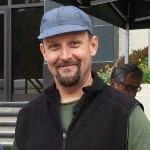 I started commuting to work by bicycle in 2005 and I have been involved with LACBC for 19 years, first as a volunteer who rode recreationally, then as a regular bike commuter and finally as a member of the staff. Early on, it was clear to me that Los Angeles does not support bicycling. We should be a mecca for bicycling - we have great weather and mostly flat terrain. Decades of car centric planning and development has brought us to where we are now. LACBC is a way to act for change locally while thinking globally. I'm committed to the work we do and feel that it's the most important work I've done in my life. Recently we've had to reduce our staff to keep the doors open at LACBC. We spent the last two years building an amazing team and it's been really difficult to lose some of our teammates. Now more than ever, I need your help to ensure that LACBC continues. We still have a fantastic team and I'm proud to join all of them by doing Climate Ride and continue our pursuit of LACBC's mission. I'm super grateful that my love of bicycling, my commitment to sustainability, and my professional career are so intertwined. 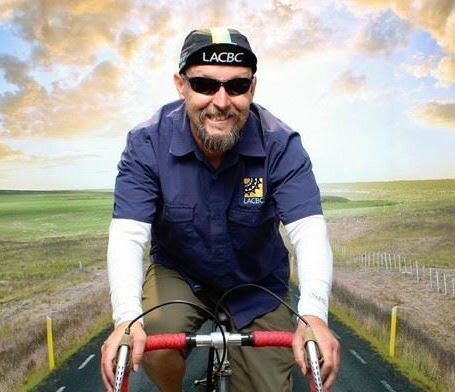 Please help support me and LACBC. Make a donation today.